After playing out a 1-1 draw with Girona in Catalonia, Atletico Madrid are with one foot in the Copa del Rey quarter-finals. Los Rojiblancos aim to defend their slim lead in Wednesday’s football game at their Estadio Wanda Metropolitano and we are positive that Diego Simeone’s troops will, as always, rely on their rock-solid defence. A man to watch in the home team will be Antoine Griezmann, who found the net in the first leg. 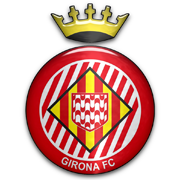 Girona are tough to beat at home, but seeing that they are not regarded as good travelers, we are tempted to put our money on the capital club. In their last home game in the Spanish Cup Atletico Madrid crushed Sant Andreu 4-0, which is yet another reason why there is a value in betting on Diego Simeone’s charges. You should bear in mind, though, that the two teams shared the spoils in each of their previous four meetings in all competitions.